No industry is safe from the transformative power of technology. Take the news industry, for example. The rise of the internet has forced newspapers to shift their focus from physical print to online publishing. The internet has changed many businesses, in fact, allowing for the formation of entire new industries (such as e-commerce) while rendering other industries entirely obsolete. The internet, the cotton gin, the printing press, and many other inventions have had an enormous impact on commerce. Technology changes, but its power to influence business remains the same. The $4 trillion logistics industry is no different. In recent years, technology has played an especially big role in shaping the logistics industry. Smartphone apps and GPS tracking technology has made it easier for companies to communicate with their off-site drivers. Also, route optimization software automatically performs a task (planning optimal routes, that is) that takes hours to do by hand. Just now, at this very moment, technology is being developed that will change the logistics industry even more. But what exactly is being developed? And how is it going to change the industry? Phillips isn’t alone in his belief. Many top logistics companies are working to incorporate drones into their operations. DHL has its Parcelcopter drone, and the Amazon Prime Air drone has been in development for quite sometime. Don’t be surprised if drones lugging packages across the sky is a familiar sight soon. For those not well-versed in logistics lingo: “last mile delivery” refers to the part of the delivery process where the package is actually delivered to the customer. You see, it’s rare for a package to go directly to the customer – first, the item is sent from a warehouse to a distribution center. It might go from one distribution center to another if the customer is located a few states away from the original warehouse. Then, the item is shipped from the nearest distribution center to the customer. That’s the last mile. Auto giant Mercedes-Benz is already developing a van to make last mile deliveries more efficient. Last mile deliveries account for 28% of transportation costs – this is known as the “last mile problem”. To solve this problem, logistics companies should embrace last mile delivery optimization software that will reduce these costs and ensure more efficient last mile deliveries. This is why routing optimization software with GPS tracking is so popular among logistics companies. GPS tracking gives you 100% visibility over your drivers’ activities. You’ll know when your drivers are speeding up. You’ll know if a driver is broken down in the middle of the road. Basically, you’ll know everything. If something goes wrong, you’ll know, and you’ll be able to immediately contact the customer and the driver and sort out the situation. Many route optimization programs also come with a feature that allows you to anticipate weather situations. You can pull drivers off the road when it looks like conditions will be bad. This, of course, is great for driver safety. “The ELD 2017 deadline” is December 17, 2017 – this is when the Federal Motor Carrier Safety Administration will require drivers that use paper logs or logging software alone to transition to electronic logging devices. Mobile devices are more than just a regulatory hurdle to jump through, though – they provide businesses with many benefits, including improved communication and employee efficiency (non-jargon translation: your drivers get to their destinations faster). With mobile-enabled route optimization software, you can plan and distribute routes from your smartphone or tablet, and your drivers can even access all the route details on their smartphones as well. More communication, means fewer delivery-delaying problems. Also, our software comes with geofencing technology that automatically records the time and date of every delivery, eliminating the need for your drivers to manually check in and check out. These features streamline the delivery process and help logistics companies focus more on growth. Hidden costs silently damage logistics companies, making it incredibly important to design a transparent, waste-free process. 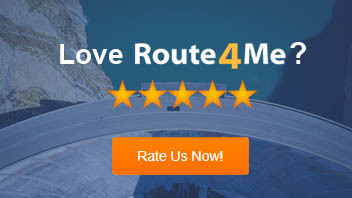 With Route4Me, you can view graphs and other easy to understand visualizations of your driving distance, fuel costs, profit-per-route, etc. This detailed business data allows you to identify and eliminate hidden costs. It’s easy to figure out that customers would love to get their packages on the same day that they order them, but it’s not so easy to actually pull that task off. 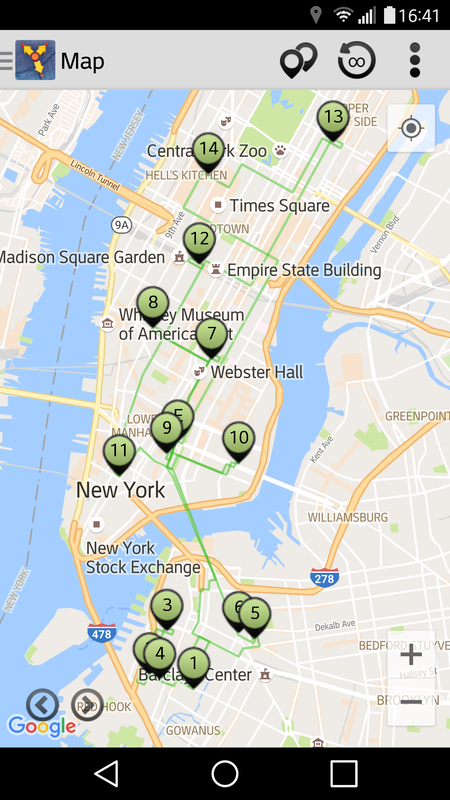 But when you use a routing app to produce 100% optimized routes, it is possible. Some things never change. Logistics companies – and businesses of all kinds, really – will always need to provide excellent customer service and implement strong cost controls to succeed. What do you think the future of the logistics industry will look like? Let us know in the comments section below.